With a 70% vote, Brickshire HOA has decided to purchase the Brickshire golf course. As it states on their website, the popularity of this Curtis Strange signature course is easily explained in two words: "player friendly." Discover wide, inviting fairways, artfully sculpted, true-rolling greens, and dramatic elevation changes. Golf Digest readers recently honored The Golf Club at Brickshire with a four and a half star rating. 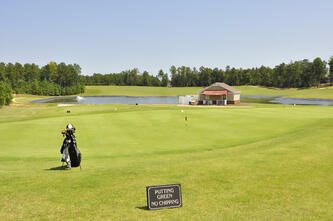 Golf Styles named Brickshire one of the mid-Atlantic's "Must Play" courses. Wingfield Golf, who currently owns and manages Vinitera Golf, will manage the course. Brickshire is located in Historic New Kent County, set half way between Williamsburg and Richmond, and is one of the area's best kept secrets. Brickshire is a golf community offering the amenities today's home buyers want, with, price points ranging from the upper $200's for villa style homes and smaller semi-custom homes to well over $1,000,000 for large custom homes. Also happening in New Kent County, it is said that Revolutionary Racing is to be purchasing Colonial Downs and has plans for racing, betting and eventually a hotel, etc. A bill allowing horse race video machine betting has passed legislature on Feb. 28, 2018 and is just awaiting the Governor's signature, which is expected quickly. There's no question that these recent developments are a great thing for the residents of Brickshire! Want to Get the Scoop on Brickshire homes for sale? Simply click below to fill out the form, designating Brickshire as your selected neighborhood, and you’ll receive automatic e-mail alerts when any new listings come on the market in Brickshire, or when any closings take place, so that you can monitor home values in Brickshire. 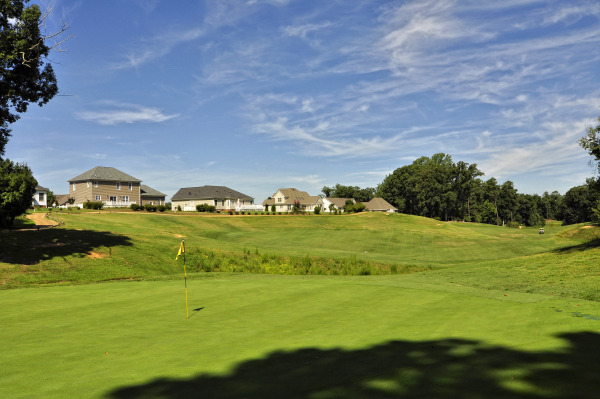 Nestled just off I-64 slightly north of Williamsburg, you’ll find a golf community that is sure to charm. 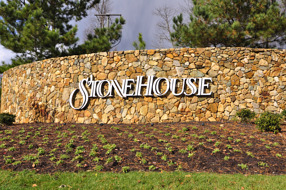 Stonehouse is situated on 5700 beautifully wooded acres with homes set amongst Tradition Golf Club, recognized as one of the top ten courses in Virginia. and old growth forests. The gorgeous 30 acre Mill Pond affords opportunities for fishing, canoeing, and viewing wildlife. A two acre park at the pond includes a picnic pavilion and shaded pier. The Residents’ Center is at the heart of the community and offers a playground, tennis courts, and junior-sized Olympic swimming pool (Stonehouse hosts an active swim team). A soccer field and community garden are located adjacent the center. Numerous opportunities to connect with friends and neighbors are presented by the Social Activities Committee and the many clubs and groups throughout the community. Homes in Stonehouse range in price from $279,900 to $1,150,000, and range in size from 2,200 to 7,795 square feet. With so much to offer, Stonehouse is the perfect place to call home! Want to Get the Scoop on Stonehouse homes for sale? Simply click below to fill out the form, designating Stonehouse as your selected neighborhood, and you’ll receive automatic e-mail alerts when any new listings come on the market in Stonehouse, or when any closings take place, so that you can monitor home values in Stonehouse. and hosts a variety of social events throughout the year. The homeowners association provides security, timeless and impeccably maintained grounds, 10 miles of walking and biking trails, and is responsible for the maintenance of some Country Club facilities. Golf Digest Virginia Top 10 course, Governor’s Land boasts an 18 hole championship course designed by the legendary Tom Fazio. The three time Best Modern Day Golf Course Architect created a course that honors the natural beauty and contours of the rivers, the woodlands, and the tidal marshlands. Governor’s Land is Williamsburg’s only private golf course. This members-only course features a great variety of holes that are both challenging and fair. With five sets of tees the course can be played between 5,023 and 6,911 yards. Governor’s Land has hosted sectional qualifying for USGA national championship, top Senior Amateur invitationals, and college tournaments; these further attest to the caliber of the course. You’ll often find members practicing, warming up, or between rounds at the extensive practice facilities that include a driving range, chipping area, and two putting greens. Two Rivers Harbor Marina and Yacht Club is perfectly positioned on the James River at the mouth of the Chickahominy River. The private harbor can be reached through a lighted channel and can accommodate boats up to 50 feet. An impressive a ray of amenities above and beyond the course and marina are available for residents to enjoy, as well. Want to Get the Scoop on Governor's Land homes for sale? Simply click below to fill out the form, designating Governor's Land as your selected neighborhood, and you’ll receive automatic e-mail alerts when any new listings come on the market in Governor's Land, or when any closings take place, so that you can monitor home values in Governor's Land. Considered one of the top golf destinations in the country, Williamsburg, Va boasts more than a dozen courses designed by some famous course architects including Pete Dye, Rees Jones, Robert Trent Jones, Sr., Arnold Palmer, and Williamsburg native, Curtis Strange. Noted for especially scenic courses, you’ll find that birds fill the galleries at Colonial Williamsburg’s picturesque Golden Horseshoe Golf Club, Kingsmill Resort, Williamsburg National, Traditions Golf Club at Stonehouse, Kiaskiack Golf Club, and Fords Colony. Interested in finding more things to do in and around the Historic Triangle? Subscribe here to our blog as we post ideas frequently. You also can purchase a copy of Liz’s recently published book, 101 Reasons to Love Living in the Historic Triangle, in either paperback or e-book version by clicking the button below. 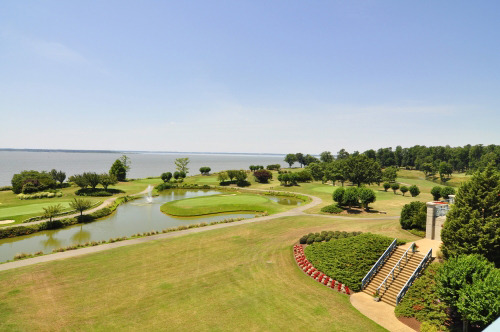 Kingsmill on the James – Love Where You Live! Thinking of retiring or relocating to Williamsburg? Moving up to more space or a resort community? 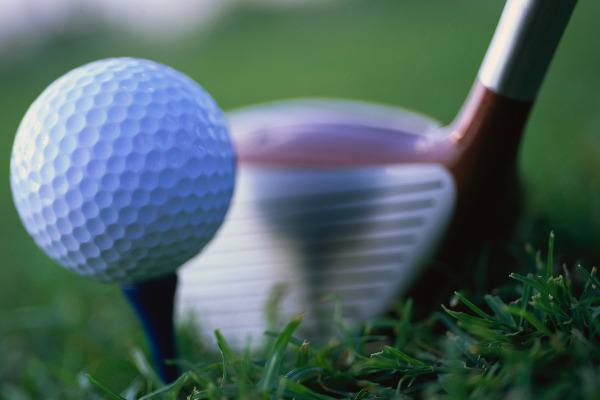 Interested in a gated community that offers golf, golf, and more golf? Or, just searching for that perfect low maintenance lifestyle? Kingsmill on the James offers homes for sale that meet all these needs and more! Less than 3 miles from Colonial Williamsburg, and conveniently just off I-64, you’ll find 2900 acres of one of Williamsburg’s most popular residential and resort communities: Kingsmill. Bounded by the James River on one side, Kingsmill boasts 3 championship golf courses: the Pete Dye designed River Course which has been home to PGA and LPGA tournament play for 29 years; Arnold Palmer’s Plantation Course, which can alternate from forgiving to challenging; and the Woods Course, a Tom Clark-Curtis Strange collaboration that plays across deep ravines and through lush forests. There is also a par 3, perfect for a tune up or developmental players. Not a golfer? That’s ok, too. 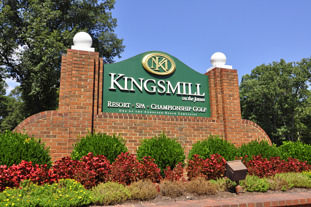 Kingsmill features a world renowned spa, a marina, a recently renovated tennis club with hard and soft courts, a complete work out facility, and a variety of wonderful restaurants. Our favorite is the newly re-done James River Grille, overlooking the James River – great place for happy hour with friends, or a just a nice quiet dinner watching the boats come and go, or enjoying the sunset. We also love brunch at Eagles, overlooking the famed River golf course and showcasing some of Kingsmill’s finest landscaping beauty. There are a wide variety of homes available for sale in Kingsmill at any given time, including one of the few places in Williamsburg where you can find contemporary architecture. There are patio homes, townhomes and condos for those seeking a simpler, low maintenance, “turn the key in the door and go” lifestyle…as well as some of Williamsburg’s finest luxury estates. If you’re looking for lots to build on (including some with river views), or new construction, you will also find those options in Kingsmill. We have several agents who live in Kingsmill and would love to be your guide, just email us at concierge@lizmoore.com and we'll put you in contact with them. Sign up for our Kingsmill “Get the Scoop” and we’ll send you e-mail alerts when new listings in Kingsmill hit the market, so you can review price, address, photos, and listing details, and much more!